These Chipotle Baby Back Ribs are sweet and spicy, with hints of chipotle chile pepper, and cinnamon, and the sweetness of brown sugar and maple syrup. These ribs can be baked or grilled a day ahead and finished on grill or in oven just before serving. Every time we cook pork ribs I think back to a family reunion several years back. It was at my Uncle Pierce’s house in the North Georgia mountains. Tons of my kinfolk were gathered together there catching up, swapping stories, and enjoying each other’s company. It was hard not to be happy surrounded by so many familiar smiling faces. 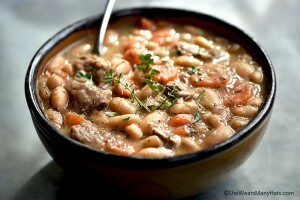 Plus, the aroma from the slow cooking pork from Uncle Pierce’s big honking grill wafting amongst us made it even better. Uncle Chef Pierce seemed to be enjoying the gathering even more than everyone else. His dry-rubbed ribs were so tasty and delightful, maybe even as delightful as the company. Since that reunion, Randy began using a dry rub most of the time when he cooked pork shoulders or ribs. At first he purchased a few mixes to use, but later started mixing his own concoctions. We enjoy them all! 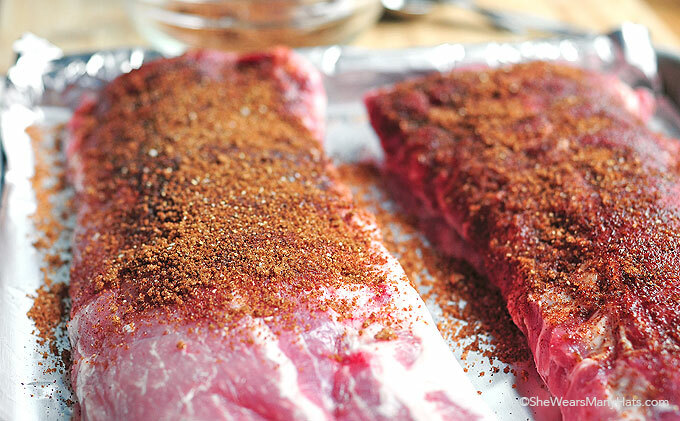 Dry rub mixes are simple to make and it’s easy to adjust the seasonings to switch things up to personal preference. 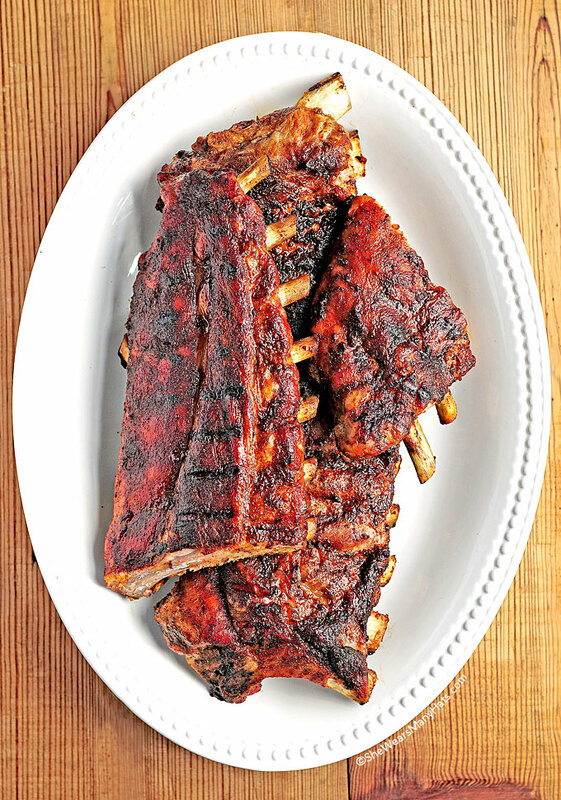 This recipe for Chipotle Baby Back Ribs, discovered over at McCormick, is a real winner. With hints of smoky Chipotle and cinnamon, and a bit of sweetness from brown sugar, these ribs are drool-inducing for sure. To make it even easier, these baby back ribs can be prepared a day ahead and cooked in an oven or grill, then finished off just before serving. Sweet and spicy ribs, with hints of chipotle chile pepper, and cinnamon, plus the sweetness of brown sugar and maple syrup. 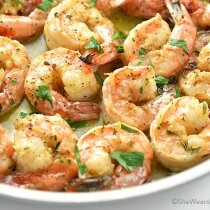 They can be baked or grilled a day ahead and finished on grill or in oven just before serving. 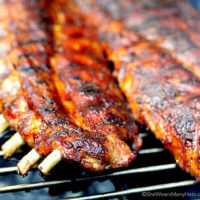 Preheat oven or grill to 375-degrees F. In a small bowl, whisk together brown sugar, chili powder, chipotle chile pepper, cinnamon and garlic salt and rub spice mixture evenly on ribs. 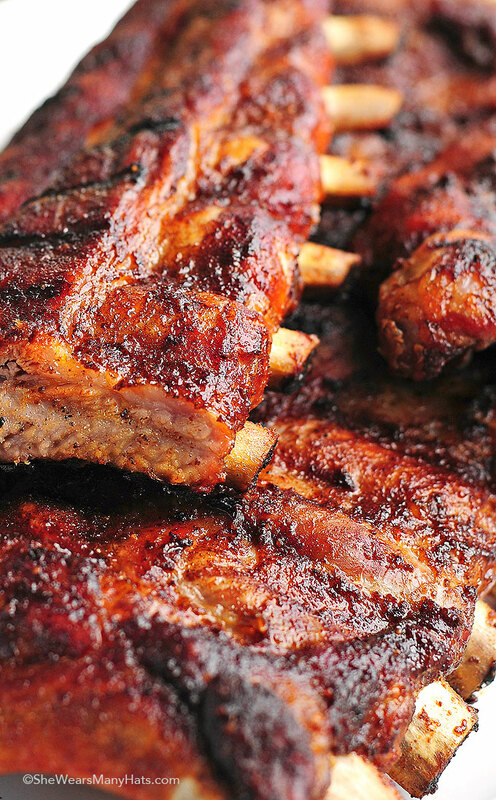 Place ribs in single layer on foil-lined roasting pan. Pour water into pan. Cover with foil. Bake 1 hour or until meat starts to pull away from bones. 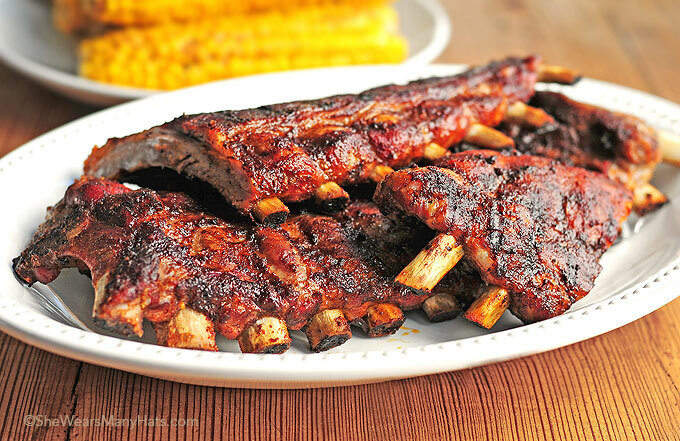 Brush ribs with maple syrup. 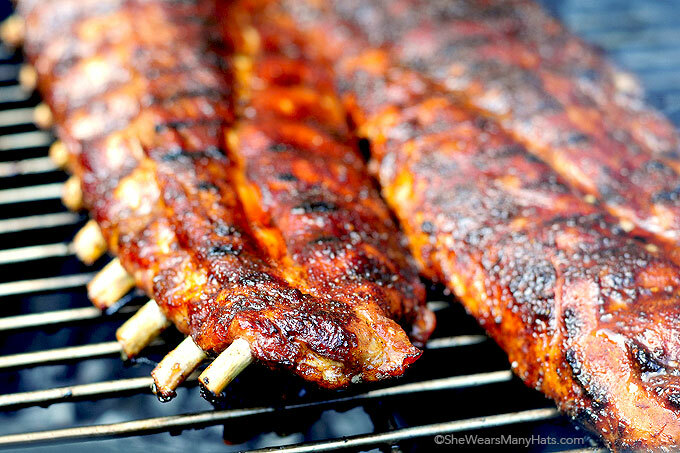 Broil or grill over medium heat 3 to 5 minutes per side or until ribs are evenly browned. Originally published June 30, 2014. These babies look amazing, Amy!!! Perfect for summer!!! 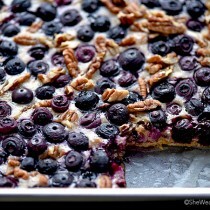 Oh man these are mouthwatering!!!! I love how you flavored these, they look incredible! These look just perfect for the 4th! Cooked the 2 slabs of ribs for 1.5 hours and then put them on the grill for 4 minutes a side . 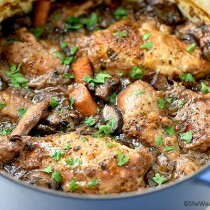 These were very tender and flavorful. Shouldn’t a recipe include how many servings it’s intended for? Am I missing this? Yes you are right, Bryan. It serves 6. 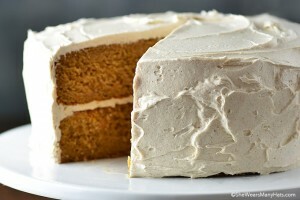 I added that information to the recipe. Thank you for pointing it out. do the ribs go in the water? do you cover them? The ribs should be on a rack or elevated in the pan. The water goes in the bottom of the pan.